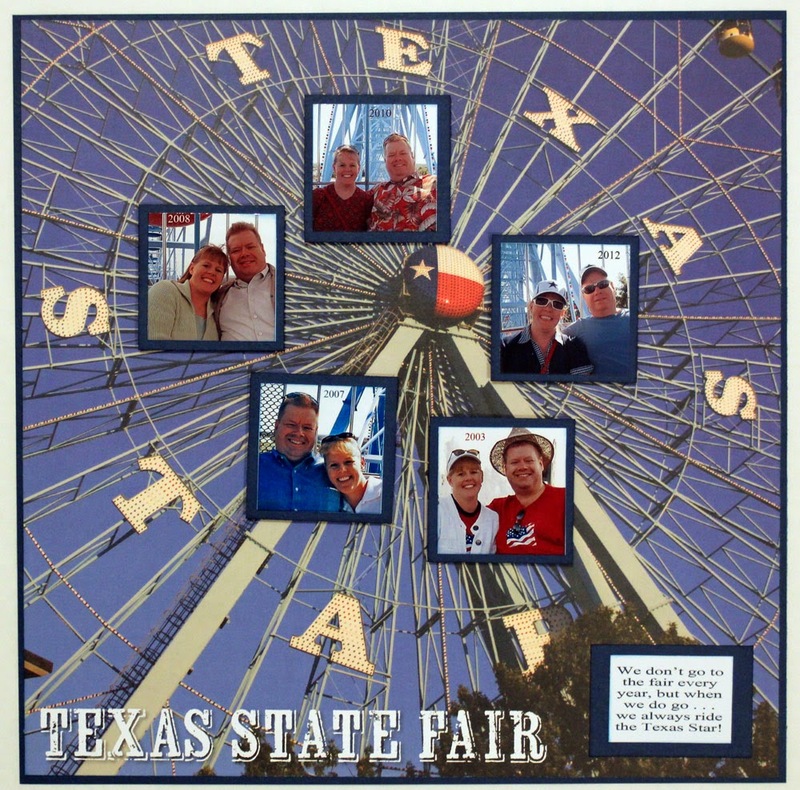 When I first saw the Texas Star custom paper by Reminisce at Scrappin' Goodtime, I knew exactly what I wanted to do with it! The Texas Star is the Ferris Wheel at the State Fair of Texas. We don't attend the fair every year, but when we do, we always ride the Texas Star. 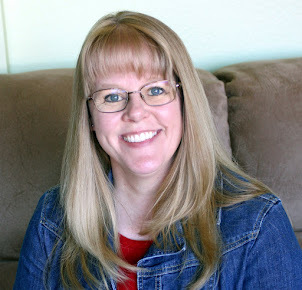 I scrolled through our digital photos (and scanned in a couple of print photos) to find photos of us at the fair. I used Photoshop Elements to crop them and add the year, then printed them to use for this layout that I absolutely love! It makes me so happy when something turns out just like I envisioned it! We are actually riding the Texas Star in all (except one) of these photos, and I especially like how you can see parts of the Ferris wheel in the background. 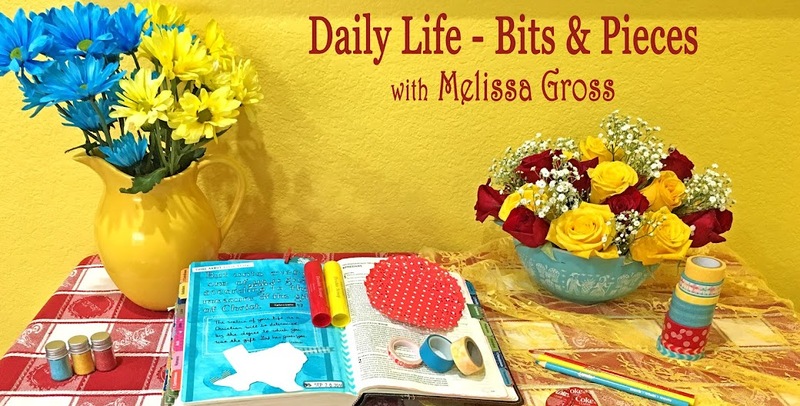 Have you ever seen a piece of patterned paper and immediately envisioned a completed layout? How did it turn out? Fabulous page, Melissa. My pages with such specific paper usually don't turn out at all how I imagined, often disappointing. Now that's inspired, especially to place your photos as if on the wheel! Great page. I always enjoy pages with photos from different years. I've seen papers that made me think of something but I usually don't buy it since I like a solid background most of the time. Wow! This is so clever. I love it. What a fabulous idea! Your title and background all found in the oversized photo. Very clever! Oh that is just amazing - I love that you can see the wheel in your photos too. Yes, I've occasionally seen a piece of paper and known what I want to do with it. Sometimes it works and sometimes it doesn't. Love this! 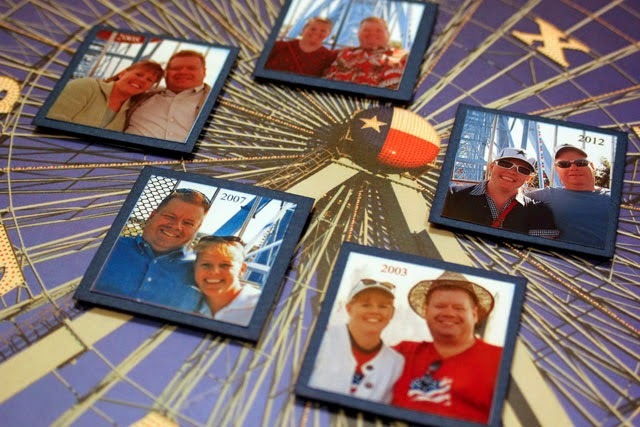 How awesome that you used photos of you taken in front of the Texas Star!